Hello! 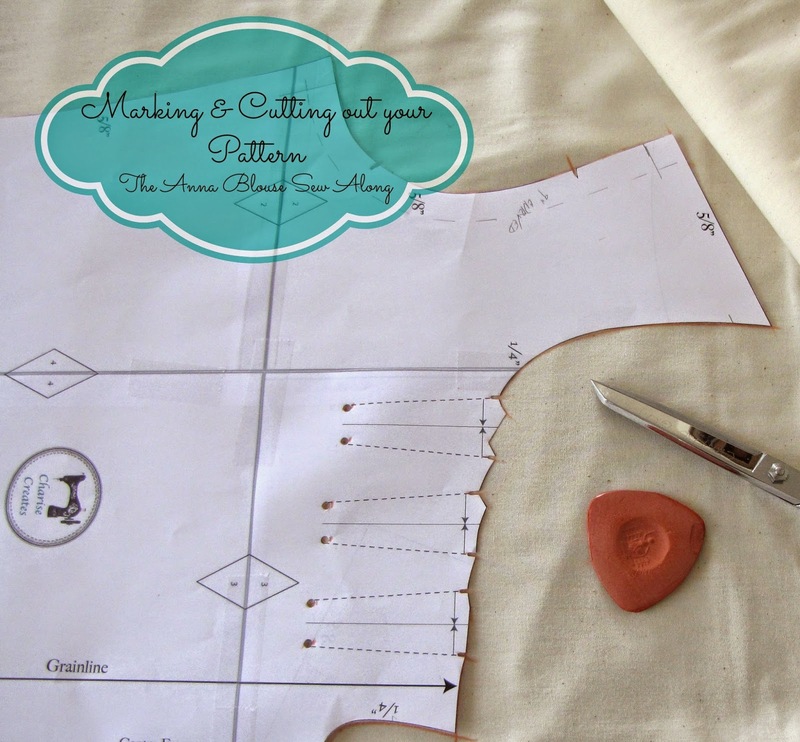 Today I will share some tips for cutting out and marking your Anna Blouse. Hopefully by now you have made any changes to your Muslin and Pattern and are ready to cut into your final fabric. 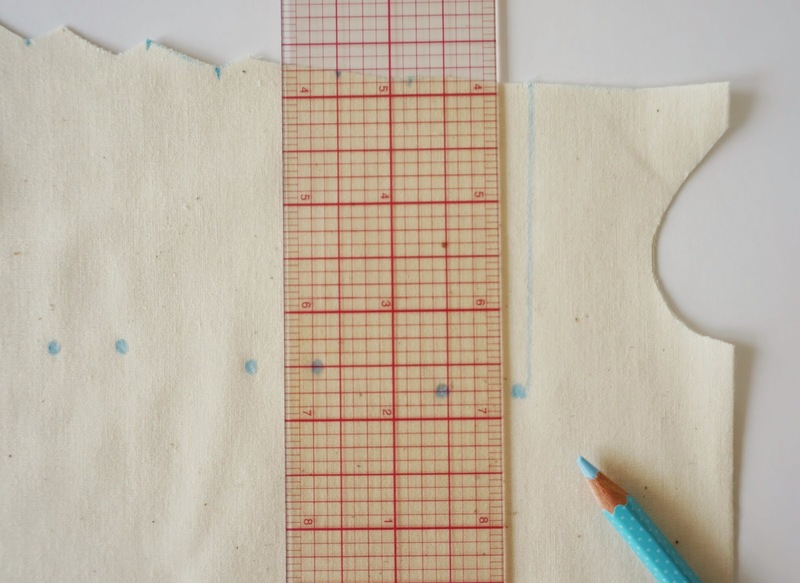 Refer back to the Supplies page for all the items you need to mark and cut out your Anna Blouse. First, you will want to prepare your Pattern for marking. If you have a notcher, mark each notch on the pattern with the notcher. The notcher will cut a small square cut into the edge of the pattern. 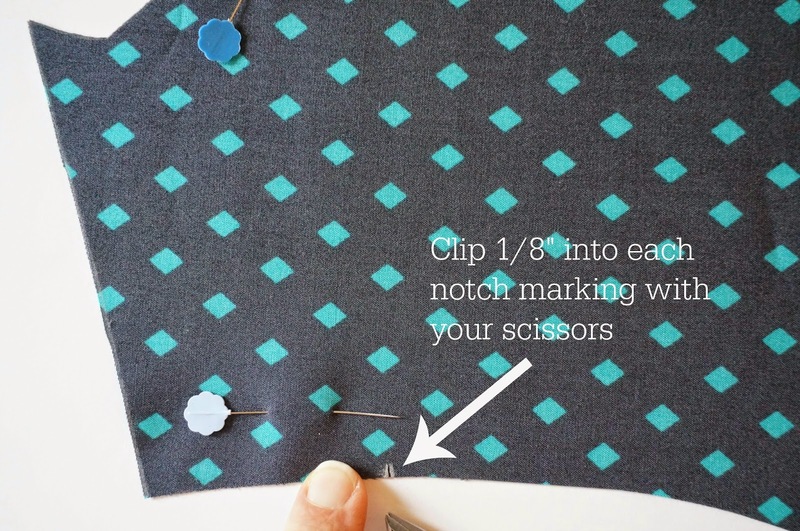 If you don't have a notcher, cut a tiny "V" on your pattern at the notch marks. 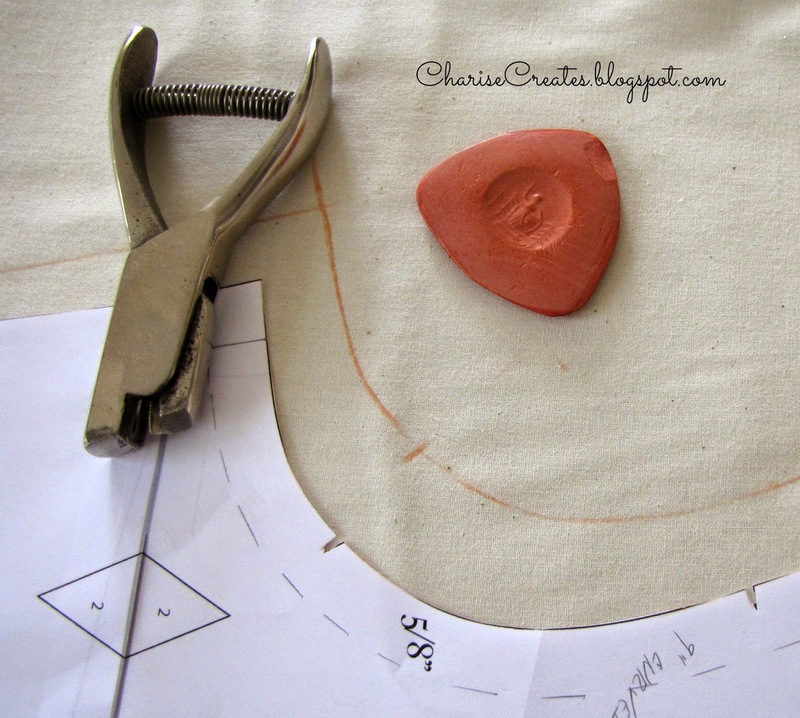 My preferred method for cutting out my patterns is tracing around the pattern with Tailors chalk. 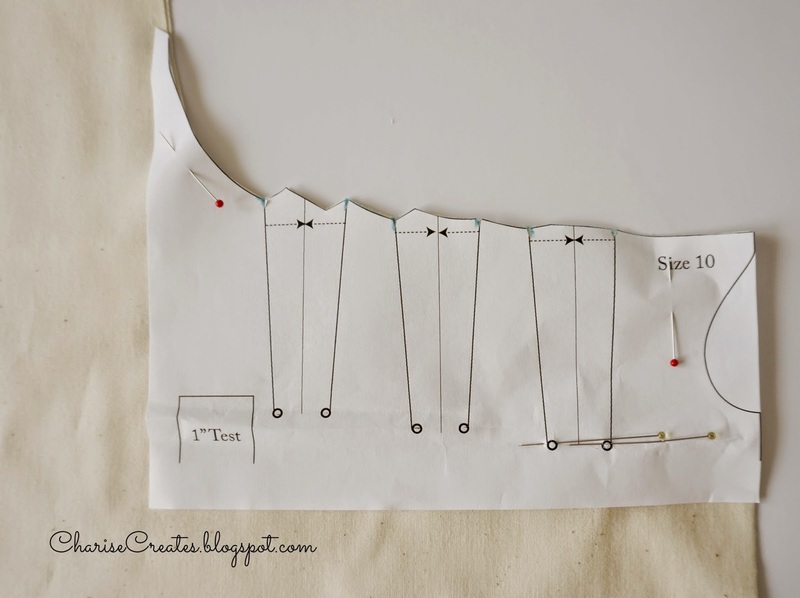 Arrange your fabric referring to the Cutting Layout sheet on the pattern. 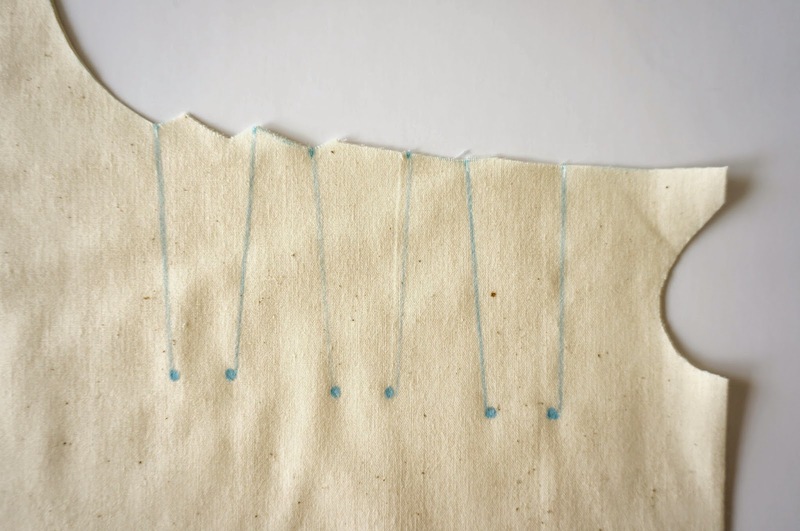 If the fabric is folded in half, make sure the selvage edges meet and the grain line runs the length of the fabric. Make sure to press your fabric to get all the wrinkles out. 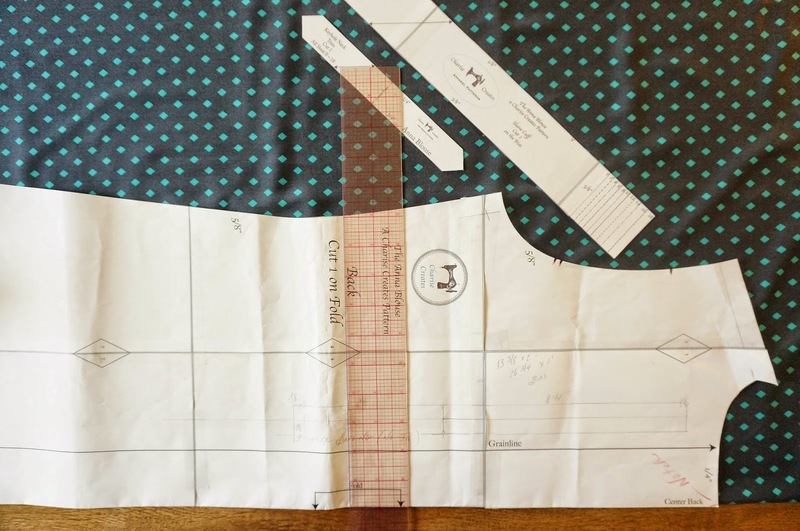 Place the largest pieces on the fabric first and anchor in place with pattern weights. Next, place the smaller pieces down (Binding neck and cuff trim, keyhole trim). 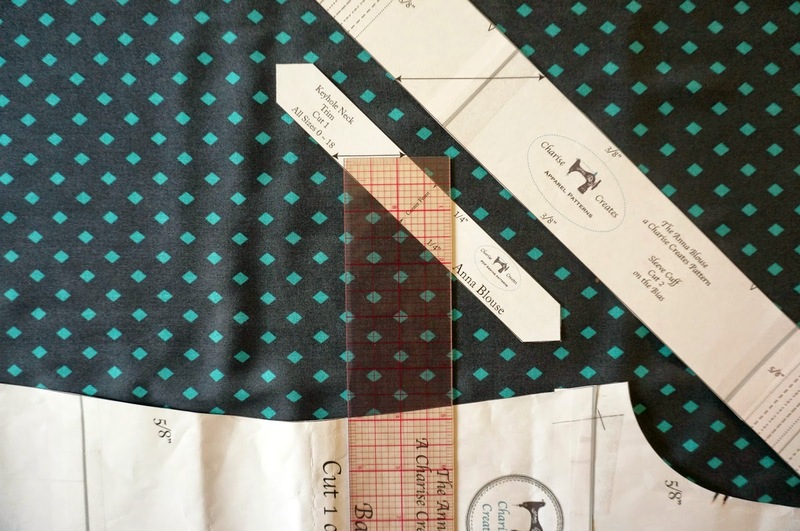 Make sure the grain line is parallel to the grain line on the fabric by measuring from the edge of the fabric fold or selvage to the grain line on the pattern piece with a ruler. Secure in place with pattern weights. 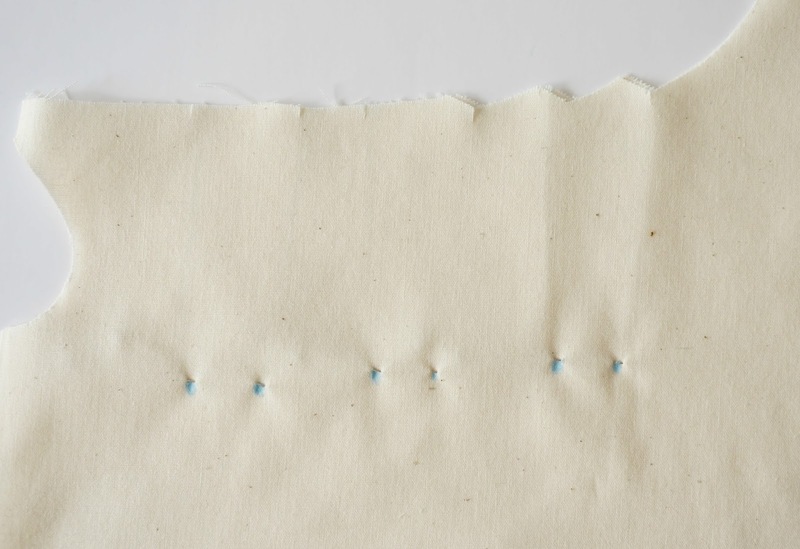 Trace around the pattern pieces with Tailors Chalk. Mark all the notches with chalk. 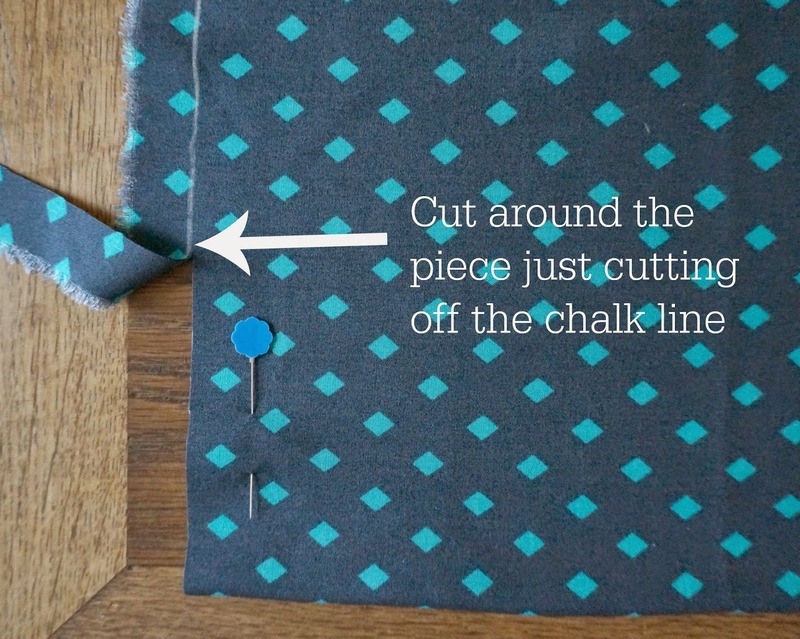 You can add pins to the edge of the pieces on the inside of the chalk line to keep pieces with multiple layers in place. Cut around the piece just cutting off the chalk line. Using your scissors, clip into each notch by 1/8". 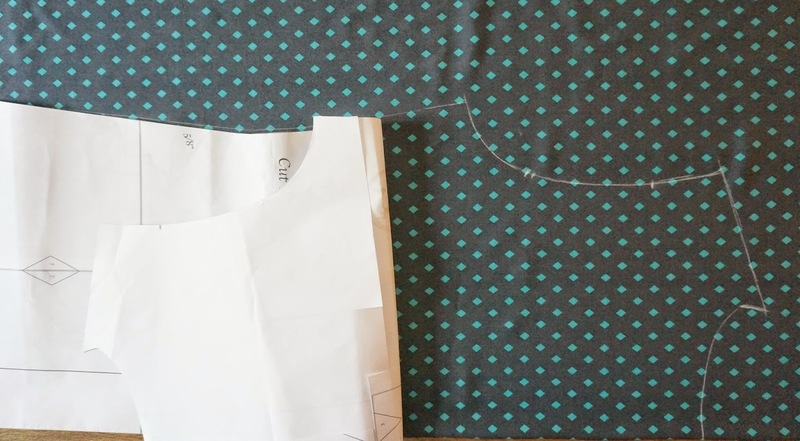 Print and cut out the Tuck Template for your size. 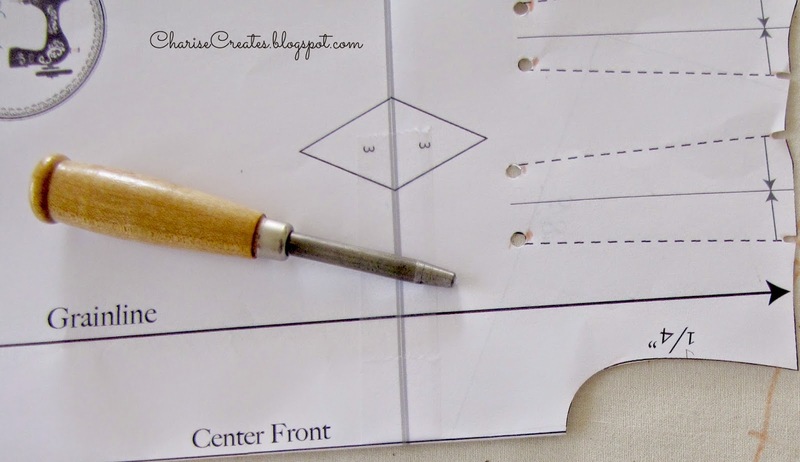 Mark the notches on the Tuck Pattern Template with the notcher. Mark the bottom of the tucks with the circle punch. Place The template on the wrong side of the front panel, lining up the top edge and CF. Pin in place. Mark the notches with tailors chalk. Cut the notches 1/8" into each marking with scissors. Mark inside the circles with a marking pen or pencil. 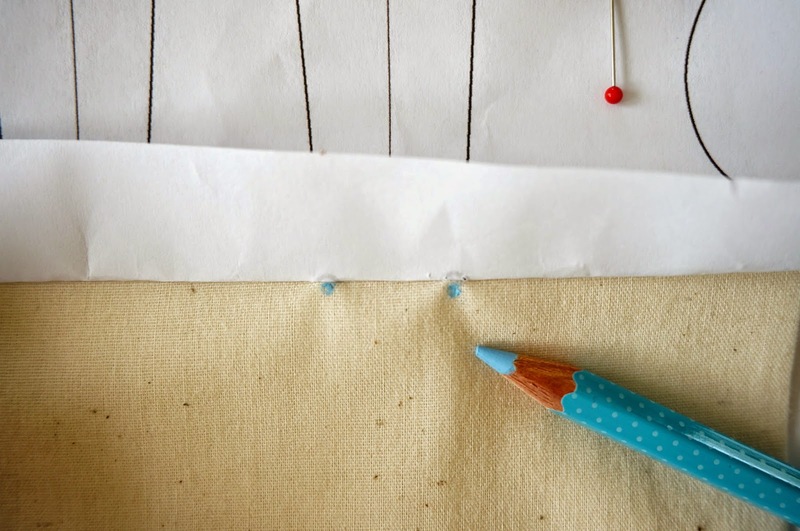 Place the Template on the other side of the front panel and mark the bottoms of the tucks. Draw a line from the top notch to the bottom legs of the tucks. 2) Supplies: Tailor's Chalk and Marking Pen or Pencil. Pin the bottom of the tucks at the circle marks. 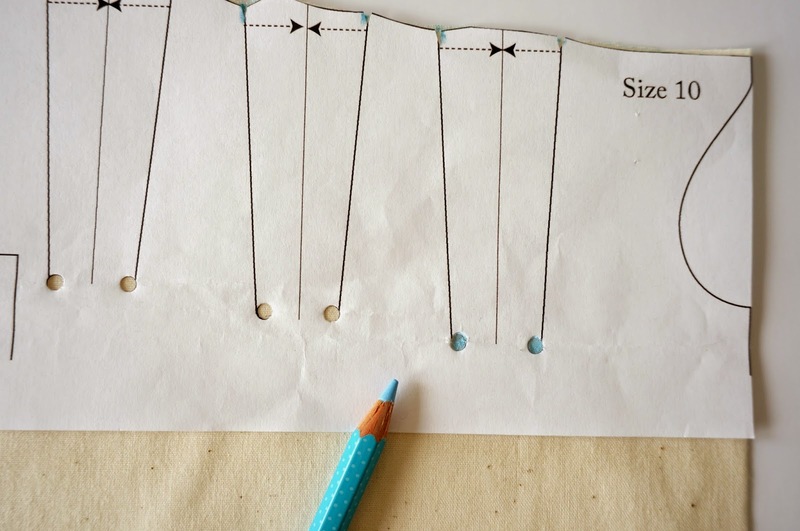 Lift the template and mark the circles on the fabric with a fabric pen or pencil. Flip the template over and mark the circles below the pins on the opposite side. Check back tomorrow and we will sew the tucks and keyhole binding!